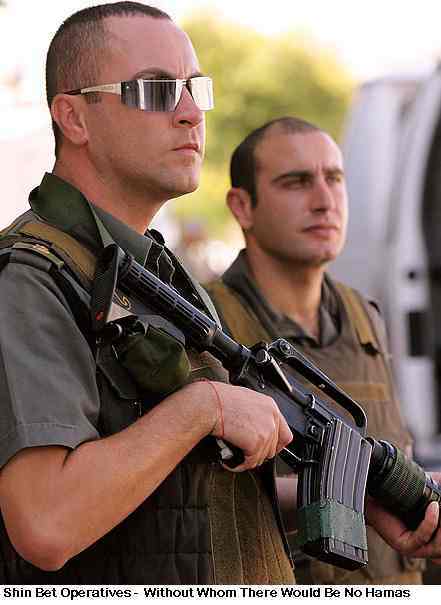 But for the deliberate actions of Israel’s Shin Bet, internal security police, there would have been no Hamas. This is Israel’s dark and dirty secret. What Uri Avnery, a former member of Israel’s Knesset and veteran peacenik (albeit still a Zionist) speaks about has long been known. Avi Shlaim touched upon it. [The Iron Wall, 459, 2001]. So have other commentators. This was a time when the United States was backing Islamic Fundamentalism in Afghanistan Anyone remember the James Bond film, Living Daylights, where the Islamic fighter was the hero? No, that’s not surprising, it quickly became out of date as the Islamists proved, as they had been intended to prove, the most useful enemy that US imperialism and Zionism could have. For years Israel backed Muslim patriarchs against younger nationalists inside Israel. This was particularly marked in the years 1948-66 when Israel's Arab population was under military rule. Hamas were created as a secular counterweight to secular Palestinian nationalism. This has always been their role. Political religious movements are always reactionary. They use the past, or what they image to be the past, to control the present and preserve the economic and political interests of the clerics and their supporters. Democracy even in its western form is unheard of. The masses can never be trusted. Insteady people should rely on clerics, mullahs and rabbis to ‘interpret’ the word of a non-existent god. Religion, because it is based on faith not reason, is the best means of legitimising repression as Iran today demonstrates. by Andrew Higgins of the Wall Street Journal, 24 January 2009 and Brendan O’Neill, a libertarian conservative commentator and former writer for LM. So when Zionists shout out about how wicked and anti-Semitic Hamas is, then the obvious riposte is ‘why did you create it then’? The Throw-Back of Islam, Judaism, and Christianity, to Their Dark Ages: what part did Israel play in this to its own peril? LET’S NOT forget the Islamic Republic of Iran. They owe us something, too. Quite a lot, actually. 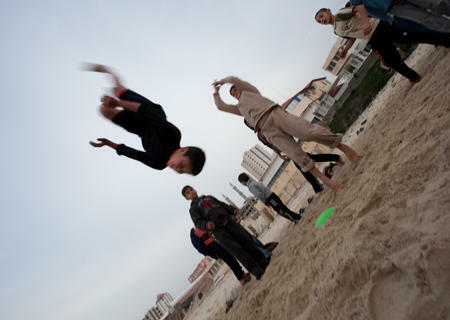 Hamas supporters in Gaza City after the cease-fire. At stake is the future of what used to be the British Mandate of Palestine, the biblical lands now comprising Israel and the Palestinian territories of the West Bank and Gaza. Since 1948, when the state of Israel was established, Israelis and Palestinians have each asserted claims over the same territory. The Palestinian cause was for decades led by the PLO, which Israel regarded as a terrorist outfit and sought to crush until the 1990s, when the PLO dropped its vow to destroy the Jewish state. The PLO's Palestinian rival, Hamas, led by Islamist militants, refused to recognize Israel and vowed to continue "resistance." Hamas now controls Gaza, a crowded, impoverished sliver of land on the Mediterranean from which Israel pulled out troops and settlers in 2005. Arieh Spitzen, the former head of the Israeli military's Department of Palestinian Affairs, says that even if Israel had tried to stop the Islamists sooner, he doubts it could have done much to curb political Islam, a movement that was spreading across the Muslim world. He says attempts to stop it are akin to trying to change the internal rhythms of nature: "It is like saying: 'I will kill all the mosquitoes.' But then you get even worse insects that will kill you...You break the balance. You kill Hamas you might get al Qaeda." When it became clear in the early 1990s that Gaza's Islamists had mutated from a religious group into a fighting force aimed at Israel -- particularly after they turned to suicide bombings in 1994 -- Israel cracked down with ferocious force. But each military assault only increased Hamas's appeal to ordinary Palestinians. The group ultimately trounced secular rivals, notably Fatah, in a 2006 election supported by Israel's main ally, the U.S.
Now, one big fear in Israel and elsewhere is that while Hamas has been hammered hard, the war might have boosted the group's popular appeal. Ismail Haniyeh, head of the Hamas administration in Gaza, came out of hiding last Sunday to declare that "God has granted us a great victory." Most damaged from the war, say many Palestinians, is Fatah, now Israel's principal negotiating partner. "Everyone is praising the resistance and thinks that Fatah is not part of it," says Baker Abu-Baker, a longtime Fatah supporter and author of a book on Hamas. Hamas traces its roots back to the Muslim Brotherhood, a group set up in Egypt in 1928. The Brotherhood believed that the woes of the Arab world spring from a lack of Islamic devotion. Its slogan: "Islam is the solution. The Quran is our constitution." Its philosophy today underpins modern, and often militantly intolerant, political Islam from Algeria to Indonesia. After the 1948 establishment of Israel, the Brotherhood recruited a few followers in Palestinian refugee camps in Gaza and elsewhere, but secular activists came to dominate the Palestinian nationalist movement. At the time, Gaza was ruled by Egypt. The country's then-president, Gamal Abdel Nasser, was a secular nationalist who brutally repressed the Brotherhood. In 1967, Nasser suffered a crushing defeat when Israel triumphed in the six-day war. Israel took control of Gaza and also the West Bank. "We were all stunned," says Palestinian writer and Hamas supporter Azzam Tamimi. He was at school at the time in Kuwait and says he became close to a classmate named Khaled Mashaal, now Hamas's Damascus-based political chief. "The Arab defeat provided the Brotherhood with a big opportunity," says Mr. Tamimi. In Gaza, Israel hunted down members of Fatah and other secular PLO factions, but it dropped harsh restrictions imposed on Islamic activists by the territory's previous Egyptian rulers. Fatah, set up in 1964, was the backbone of the PLO, which was responsible for hijackings, bombings and other violence against Israel. Arab states in 1974 declared the PLO the "sole legitimate representative" of the Palestinian people world-wide. A poster of the late Sheikh Yassin hangs near a building destroyed by the Israeli assault on Gaza. Roni Shaked, a former officer of Shin Bet, Israel's internal security service, and author of a book on Hamas, says Sheikh Yassin and his followers had a long-term perspective whose dangers were not understood at the time. "They worked slowly, slowly, step by step according to the Muslim Brotherhood plan." In 1987, several Palestinians were killed in a traffic accident involving an Israeli driver, triggering a wave of protests that became known as the first Intifada, Mr. Yassin and six other Mujama Islamists launched Hamas, or the Islamic Resistance Movement. Hamas's charter, released a year later, is studded with anti-Semitism and declares "jihad its path and death for the cause of Allah its most sublime belief." In 1989, Hamas carried out its first attack on Israel, abducting and killing two soldiers. 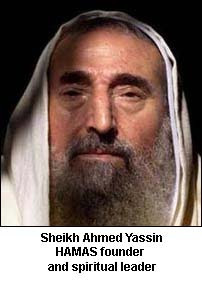 Israel arrested Sheikh Yassin and sentenced him to life. It later rounded up more than 400 suspected Hamas activists, including Mr. Zahar, and deported them to southern Lebanon. There, they hooked up with Hezbollah, the Iran-backed A-Team of anti-Israeli militancy. Many of the deportees later returned to Gaza. Hamas built up its arsenal and escalated its attacks, while all along maintaining the social network that underpinned its support in Gaza. Meanwhile, its enemy, the PLO, dropped its commitment to Israel's destruction and started negotiating a two-state settlement. Hamas accused it of treachery. This accusation found increasing resonance as Israel kept developing settlements on occupied Palestinian land, particularly the West Bank. Though the West Bank had passed to the nominal control of a new Palestinian Authority, it was still dotted with Israeli military checkpoints and a growing number of Israeli settlers. Unable to uproot a now entrenched Islamist network that had suddenly replaced the PLO as its main foe, Israel tried to decapitate it. It started targeting Hamas leaders. This, too, made no dent in Hamas's support, and sometimes even helped the group. In 1997, for example, Israel's Mossad spy agency tried to poison Hamas's exiled political leader Mr. Mashaal, who was then living in Jordan. The agents got caught and, to get them out of a Jordanian jail, Israel agreed to release Sheikh Yassin. The cleric set off on a tour of the Islamic world to raise support and money. He returned to Gaza to a hero's welcome. Efraim Halevy, a veteran Mossad officer who negotiated the deal that released Sheikh Yassin, says the cleric's freedom was hard to swallow, but Israel had no choice. After the fiasco in Jordan, Mr. Halevy was named director of Mossad, a position he held until 2002. Two years later, Sheikh Yassin was killed by an Israeli air strike. Mr. Halevy has in recent years urged Israel to negotiate with Hamas. He says that "Hamas can be crushed," but he believes that "the price of crushing Hamas is a price that Israel would prefer not to pay." When Israel's authoritarian secular neighbor, Syria, launched a campaign to wipe out Muslim Brotherhood militants in the early 1980s it killed more than 20,000 people, many of them civilians. In its recent war in Gaza, Israel didn't set the destruction of Hamas as its goal. It limited its stated objectives to halting the Islamists' rocket fire and battering their overall military capacity. At the start of the Israeli operation in December, Defense Minister Ehud Barak told parliament that the goal was "to deal Hamas a severe blow, a blow that will cause it to stop its hostile actions from Gaza at Israeli citizens and soldiers." Walking back to his house from the rubble of his neighbor's home, Mr. Cohen, the former religious affairs official in Gaza, curses Hamas and also what he sees as missteps that allowed Islamists to put down deep roots in Gaza. He recalls a 1970s meeting with a traditional Islamic cleric who wanted Israel to stop cooperating with the Muslim Brotherhood followers of Sheikh Yassin: "He told me: 'You are going to have big regrets in 20 or 30 years.' He was right." In the bloody street struggle between Hamas and Fatah for control of the Palestinian territories—a civil war in all but name—Israel is firmly pinning its hopes on a Fatah victory. It sees its old enemies in Fatah as far preferable to Hamas, which refuses to recognize Israel’s right to exist and whose members still occasionally blow themselves up on streets and buses inside the Jewish state. Fatah has been a thorn in Israel’s side for over 40 years. It is the largest group in the Palestine Liberation Organization, and its name is a reverse acronym of the Arabic title Harakat al-Tahrir al-Watani al-Filastini, which literally translates “Palestinian National Liberation Movement.” But Israel is ready to overlook all that and is making moves toward its old secular, nationalist opponents—“Arafat’s men”—in an attempt to isolate what it sees as the cosmically minded religious extremists of Hamas. When British Prime Minister Tony Blair publicly supported Fatah leader Mahmoud Abbas in December and promised to donate £13 million to Fatah, he won the fulsome praise of Israeli Prime Minister Ehud Olmert, who thanked Blair for his “good and interesting ideas” and agreed that it is time for “moderate [Palestinian] elements to be strengthened.” To this end, Olmert hinted that more than $700 million in tax receipts currently being withheld from the Palestinian Authority on the grounds that the money might end up in the coffers of Hamas could be released if a friendlier Fatah-led government were in control. This was seen by many as Israel giving the green light to Fatah to continue facing down Hamas. According to the military wing of Hamas, Fatah has even passed details of Hamas’s “military projects” to Israel so that Israeli forces can more efficiently deal with Hamas militants. But there is something bitterly ironic in Israel’s support for Fatah against Hamas—and it should be a lesson to governments everywhere that meddle in other states’ affairs. In the past, Israel supported Hamas against Fatah. Indeed, in the 1970s and 80s, Israel played a not insignificant role in encouraging Hamas’s emergence in the belief that such an Islamist group might help rupture support for the mass nationalist movement of Fatah. Twenty years later, Israel has switched sides, hoping that it can encourage Fatah to see off Hamas. It wants “moderate” Palestinians to take on the “extremist” Palestinians it helped create. Like America and Britain before it—both of whom have supported and armed Islamist movements in the Middle East in attempts to undermine secular nationalist parties—Israel is learning the hard way that it is one thing to let radical Islamists off the leash but quite another thing to rein them back in again. If you make monsters, you shouldn’t be surprised if they come back to bite you. After the Six Day War of 1967, Israel began administering the West Bank, Gaza, and the Sinai Peninsula. Where the Arab nationalist forces that had previously controlled these areas were hard on Islamist activists, rightly judging them to be enemies of secular nationalism, Israel was much more lenient, even permissive in its attitude towards the Islamists. One of the first actions taken by Israel after its victory in the 1967 war was to release from prison various Muslim Brotherhood activists, including Ahmed Yassin, future founder of Hamas. Yassin and others had been jailed by the Egyptian authorities after the Muslim Brotherhood tried to assassinate Egyptian President Gamal Abdel Nasser, the anti-colonialist and pan-Arabist who considered political Islam a threat and an anachronism and was fairly unforgiving in his treatment of its practitioners. Israel, by contrast, sensing that such radical Islamists might be helpful in undermining Arab nationalists like the Nasser-influenced Fatah in the Palestinian territories released the Islamists from their cells and encouraged them to take root in Palestinian society. Starting in 1967, the Israelis began to encourage or allow the Islamists in the Gaza and West Bank areas, among the Palestinian exiled population, to flourish. The statistics are really quite staggering. In Gaza, for instance, between 1967 and 1987, when Hamas was founded, the number of mosques tripled from 200 to 600. And a lot of that come with money flowing from outside Gaza, from wealthy conservative Islamists in Saudi Arabia and elsewhere. But, of course, none of this could have happened without the Israelis casting an approving eye upon it. Al-Qaeda itself, that most radical and obscure of Islamic sects, springs from the Muslim Brotherhood. 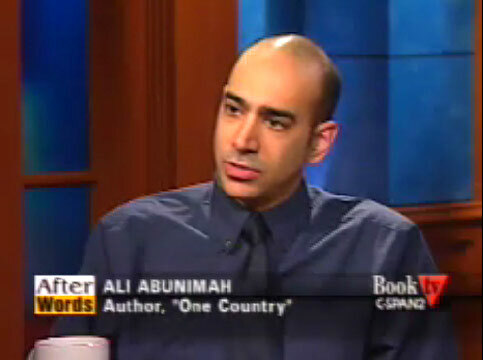 Osama bin Laden is heavily influenced by the thinking of Sayyid Qutb, a radical member of the Brotherhood. The Egyptian Ayman al-Zawahiri, bin Laden’s second-in-command and currently the public face of al-Qaeda in its occasional grainy videos and crackly audio recordings, was first radicalized by the Muslim Brotherhood before moving on to the more radical Islamic Jihad group in 1979 and subsequently fighting the Soviets in Afghanistan. Indeed, in both intellectual and physical terms, al-Qaeda has benefited from Western intervention in Middle Eastern affairs. It takes its intellectual inspiration from the Muslim Brotherhood, that group supported by both American and British intelligence in the early and middle 20th century, and it was physically forged in the heat of the Afghan-Soviet War, a conflict largely facilitated by American, British, and Saudi support for the Mujahideen. In playing the same game as the Brits and Americans—the “devil’s game”—Israel created its own gravediggers. 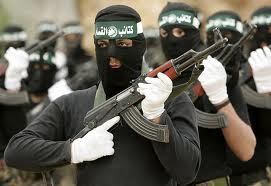 Israel’s encouragement of Hamas’s emergence to counter secular nationalism represented an attack on the idea of popular and secular democracy, so it is not surprising that Hamas retains its somewhat extreme religious leanings and suspicion of traditional politics. From Egypt to Palestine to Afghanistan, the explicit aim of Western and Israeli support for radical Islamism has been to isolate, weaken, and ultimately destroy popular political movements that very often were based on Western ideas of democracy and progress. Israel is now trying to rein in the consequences of its earlier actions by encouraging Fatah to take on Hamas, which is a recipe for further conflict and division in the Palestinian territories. Electronic Intifada is the most informative and well researched Palestinian solidarity site in existence. It stands head and shoulders above any other site. That its funding has been under severe attack from the Dutch state and Israeli anti-NGO operations aimed at closing down any criticism. Electronic Intifada has broken a number of stories about Zionist lobby groups and its latest expose of how the Zionist Community Security Trust supplied false information on Raed Salah, the leader of the Northern Islamic movement in Israel, in an effort to get him refused entry at Britain's borders and once here, to help ensure he was deported, was excellent. There isn't a trace of racism or conspiracy surrounding EI. What you see is what you get and that is pretty good. This blog is proud to support the appeal and to ask that you give as generously as you can. They are in severe difficulty financially and have only reached 3/4 of their target of $100,000. My own branch of Palestine Solidarity Campaign in Brighton has donated a huge £500 to EI and Jews for Boycotting Israeli Goods another £200 as well as £100 from the unemployed centre. If you have any spare loot, savings, left-over from that legacy from the aunt you forgot about, you can send it to EI and sleep comfortably in bed with a good conscience. As Israel demonstrates the barbarism of its policies - such that electric shock torture is now being applied to Palestinian children - there is no sacrifice that is too great to make. EI ensures that the message of the Palestinians gets out to the world. That is why the fascist and far-right parties in Europe, like those in the Netherlands, want to shut it down. Please don't allow them to silence the Palestinian voice. Whether this is a quiet time winding down or a busy few days to get a lot of stuff done before the end of the year, please make giving a year-end gift to support the work of The Electronic Intifada a priority. Thanks to so many wonderful individuals we’ve raised $75,000, but that still leaves us $25,000 short of our target. I don’t think we can get there by December 31st without you. I’ve been able to count on you before to make a donation so that our team has the means to fight back against propaganda and censorship, and to publish the finest news and analysis about Palestine available anywhere. Your contribution makes a huge difference, helping to educate and motivate thousands of people every day. Each and every day we’re vigilant, whether we are exposing hate propaganda, shining a light on cultural pioneers like Remi Kanazi or publishing incisive analysis like Ilan Pappe’s latest inspiring article. So please act today. There’s just a few days left in 2011 to make a tax-deductible (in the US) donation and help us reach our goal. Thank you in advance on behalf of the entire team. We never forget that you are an indispensable member of that team and we hope that through our work we have earned your support for another year. PS: If you’ve already sent in a check, we may not have processed it yet – in that case please excuse this intrusion. Mail your check payable to "MECCS/EI" to 1507 E. 53rd St. #500, Chicago, IL 60615, USA. Last July I spoke on the Fight Against Fascism in Brighton & Hove at a meeting of Brighton History Workshop. It was subsequently agreed that the talk should be written up and turned into a book. There is due to be a public launch for the book at which I will speak in February, details of time and venue will be announced nearer the time. I was very conscious when I was preparing the talk and writing the book that I was standing on the shoulders of giants. 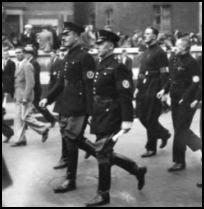 People like Morris Beckman and others of the ’43 Group, Maurice Ludmer of Searchlight, Rod Fitch of the Brighton & Hove anti-fascist committee and Bill North his successor as Chairman. I also include in this Dave Hann, who interviewed me for his own book, which his partner Louise Purbrick has now finished, less than a month before he tragically died from cancer and Steve Tilzey, who co-wrote No Retreat with Dave Hann and who I met at a party of anti-fascists about 8 months ago. 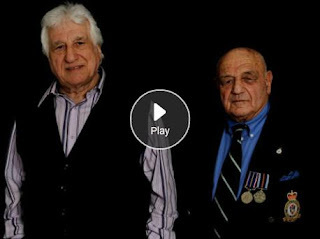 Below is an excellent video on the ’43 Group and the determination of mainly Jewish ex-servicemen who had returned from fighting the Nazis that there would be no resurgence of fascism in this country or Oswald Moseley’s British Union of Fascists. As the video mentions, there were at one time, post-war, about 60 or so fascist meetings a week in London alone. It is gratifying to know that the coup de grace to the BUF was delivered in what became known as the Battle of the Level in Brighton in 1948 when the fascists were massacred and Geoff Hamm ended up with a broken jaw in a Brighton hospital. It’s good that the NHS had just been established or he might have had to pay the bill for his own self-inflicted misfortune! Today ‘no pasaran’ – they shall not pass – applies even more so. 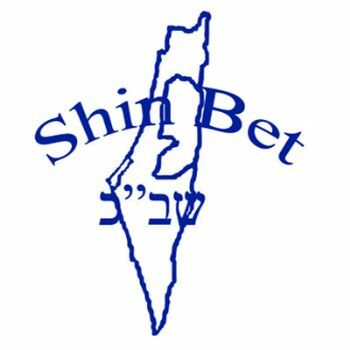 Whether it is to the English Defence League, the British National Party or their sympathisers among the Zionist movement, groups like Herut and Betar. Fascism is and always has been the ultimate evil and that is why we are determined to root out the tiny slivers of fascist supporters in Palestine solidarity movement – the Frances Clarke Lowes and Gilad Atzmons. It is something that has always attracted me. How academics, those who deal in ideas, who explore the subtleties and contradictions of human life, can be so short-sighted and stupid. Whenever I’ve spoke to large audiences in opposition to Zionism and support for the Palestinians I’ve always tried, in the limited time usually available made one key point. How can those who are Jewish, who have lived in the shadow of the holocaust, who understand or should understand racism, become transformed into racists and oppressors. How can they turn into their erstwhile opponents. It’s an argument that rarely fails to meet with approbation, precisely because of its simplicity. The obverse is also true. How can Jewish people fail to understand that which should be their bread and butter, to recognise that a Jewish state is no more ‘Jewish’ than South Africa was ‘christian’. Yet how to explain how senior academics, an Emeritus Professor of International Law, can write such gushing rubbish in the blurb for Atzmon’s anti-Semitic work of literary art. Why is it so difficult to see that the concept of a Jewish conspiracy, besides being ridiculous in its own right, explains nothing, least of all why non-Jews and are the most fervent supporters of Zionism. It was with this in mind that I wrote to Richard Falk and he replied (see below). I am still none the wiser except that I understand that humanists, of which Falk is clearly one, are so appalled by Israel’s blatant disregard of international law and the Western powers support of them for so doing, that they no longer care to differentiate between those Israel deems ‘anti-Semitic’ and who proclaim their support for the Palestinian and those who actually are anti-Semitic. book, not the argument or all of the positions taken.' Quite how one can wax lyrical about the 'value' of failing to deal with the substance of why this is a 'transformative' story. It is one of the ‘achievements’ of Zionism that they indeed blurred the distinction in peoples’ minds between anti-Zionism and anti-Semitism. As for Falk, my only explanation is that those who know more and more about their subjects know less and less about the world outside. This was true of the Nazi professors, Heidigger et al. 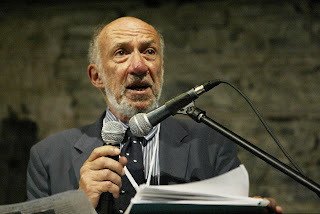 The fact is that academics are often anything but academic and it has to be said, since even the existence of a discipline such as international law is problematic, since there is no single acceptance of that it means, that Richard Falk is probably used to a great deal of poetic licence. further to the e-mail I sent you a week ago I thought it might be useful to put our discussion in a more practical context, and thus aid your understanding as to why Gilad Atzmon is anti-Semitic. As you will know, Zionists and their propagandists never cease to follow the fascist pattern of equating Jews with Zionism. Indeed so insistent are they on this equation that those, a growing number incidentally, who are Jewish anti-Zionists are regularly termed 'self-haters', a description equivalent to the Nazi denunciation of German anti-fascists. Indeed it is the hallmark of Zionist attempts to determine Jewish identity that there is no distinction between that and a Zionist identity. This is not a small matter as Jewish groups opposed to Zionist are growing in numbers and strength as the BDS movement takes off. In other words, those who are Jewish or of Jewish origin, members of Atzmon’s absurd ‘third category’ are Zionists for opposing Zionism. Transformative? Even a professor should be able to work this one out. I agree that to withdraw endorsing the book, solely or mainly because of your reputation, would be wrong. My reference to your reputation is a reference to all the good work you have done in and around Gaza and in opposition to the occupation and terror of Israel. What I do not understand and cannot get, from someone who is clearly intelligent and well-versed, is how you can describe Atzmon's book and views as challenging, thoughtful, seeking peace and reconciliation. You talk of a 'slash and burn' reaction. This I find difficult to understand. Indeed I will go further. I find it incomprehensible. Would you really have encouraged a textual deconstruction of Der Sturmer or a coffee morning to discuss the merits of Drumont's La Libre Parole? There are many books which merit your adjectival descriptions, but The Wandering Who? This from someone whose small talk is peppered with comments like 'Socialist Jewnity' or who finds it amusing that throwing Jews into the sea might pollute the latter? In other words, a common and garden racist. For more than sixty years, the Biblical call for theft has been put into legal praxis. The Israeli looting of Palestinian cities, homes, fields and wells has found its way into Israel’s legal system: by 1950-51, Israeli legislators had already approved the ‘Absentee Property Law’, a racially-orientated law preventing Palestinians from returning to their lands, cities and villages, and allowing the new Israelites to live in houses and cities they ‘did not build’. The never-ending theft of Palestine in the name of the Jewish people is part of a spiritual, ideological, cultural and practical continuum between the Bible, Zionist ideology and the State of Israel (along with its overseas supporters). Israel and Zionism, both successful political systems, have instituted the plunder promised by the Hebrew God in the Judaic holy scriptures. I fail to understand what is challenging about the above. It is no secret that Zionism cynically and deliberately used the bible to legitimise its deeds. God has always managed to be on the winning side, whatever the war. But that is different from saying that the bible was the cause of what happened and that Israel and its deeds can best be understood by perusing the talmud or other books. This is of course basis of much Islamaphobia. The stoning of women, the cutting off of limbs are merely an extension of the Quoran's practices and nothing to do with local elites in alliance with the United states. History read ahistorically. And then a final touch from Atzmon is the supercillious and superficial (as well as racist) comparison between Israeli colonisation and the fight of the Bund against the pogroms and with the Polish socialists, who saw capitalism as the source of their and the Polish peoples' sufferings. Even to compare the Bund, which fought racism, with the Zionists who perpetuate it should be proof enough for you that this charlatan has nothing to offer. Perhaps more revealing is the explanation of Atzmon's fellow anti-Semite, Mary Rizzo, as to why she had had enough of him. The personal in this case is also revealing politically. It is not innovative to extrapolate from the bible to the present day. It is merely the other side of the coin from rewriting the past from today's perspective. Indeed that is what Atzmon does, not least because there isn't a shred of evidence that Moses actually existed. But there is no dynamic at play here. No description of how Jewish identity might have changed, as do all identities. Because a fixed identiy is not possible in a changing society. But for Atzmon, there has been 3,000+ years of an unchanging identity. Even the socialist Bund are, in their desire to dispossess the wealthy, acting out Moses' dictum. This has nothing to do with peace. It is merely a racist narrative. If you want to read a book that is challenging, that points to the contradictions between a Jewish diaspora identity and that of Israel and Zionism, then ex-Israeli Gabiel Piterberg's Returns of Zionism can't be bettered. believed it to be a mistake. slash and burn repudiation as I feel you are advocating. You say that it would be ‘inauthentic’ to change your mind to save your reputation. Certainly if that were the only reason to do so then I agree. However I sent you a copy of my review and a longish message with it precisely so that you could reconsider your position on the basis of rethinking your assessment of Gilad Atzmon’s contribution to Palestinian politics, including his book. Of course there is always value in reading an interesting book, even when one disagrees profoundly with its message. The problem with Atzmon’s book is that not only is it badly written, a rehash of his essays in most cases, but intellectually it offers nothing other than an insight into Gilad Atzmon himself. i. How does Atzmon’s open support for holocaust deniers such as Israel Shamir and Paul Eisen, coupled with his own repeated questioning of the ‘narrative’ of the holocaust help resolve the present conflict? Surely you, who I understand are Jewish, can understand that there is a difference between the Zionists’ exploitation of the holocaust, as a means of justifying their own barbarities, and questioning the very fact that the holocaust occurred. This is a simple argument. It is you who are the professor, not me. ii. I assume in all of this that support for the Palestinians carries most weight with you, in which case how does a focus on ‘Jewish identity’ help? Leave aside that identity is not fixed, contra Atzmon, for whom there is an unchanging Jewish identity with the concept of a holocaust having emerged long before the Nazi genocide. I realise you are probably not a socialist, but even a radical liberal can understand that the explanation for Israel and Zionism doesn’t lie in Jews or the Jewish religion, but the configuration of circumstances and politics in 19th and 20th century European? iii. Is there really a straight line from the Polish ghettos to the Apartheid Wall? Were Jews hated for the same reasons? Would an explanation of Belgian identity explain the death of 10 million Africans in the Belgian Congo? You don’t have to be a Marxist to appreciate the argument that race does not determine all. I’m sure Thomas Paine or Jews Mill would have managed it equally well. If your primary concern is the Palestinians then an effective solidarity movement is what should be of prime importance. Atzmon and those around him have already severely disrupted the British Palestine solidarity movement. That is why you have an obligation far and away above that of any considerations for your own reputation, important though it is for people who support the Palestinians not to throw their reputations away for the sake of a semi-coherent treatise on Jewish identity. Your remarks, which have been used extensively by Atzmon to vindicate his book, have already done much damage to the Palestinian cause. Regardless of what value you attach to a reading of the book it is incumbent upon you to at least clarify your support for a book which for example treats the economic crisis, ‘swindlers’ and Jews interchangeably. There is nothing inauthentic in admitting to having made a mistake. much less renounce, my endorsement. those who endorsed the reading of the book. it would be inauthentic for me to do so. You don't know me but I am a Palestine solidarity activist in England and also a member of Jews for Boycotting Israeli Goods. I was, to say the least, surprised that you had written a blurb for Gilad Atzmon's 'Wandering Who’'. From what little I know of you, you have been a principled humanitarian and anti-racist, not least in respect of Israel's war crimes in Gaza. I find it difficult therefore to understand why it is that you have endorsed a book which is written by someone who is a died-in-the-wool anti-Semite. I am well aware of the canard of 'anti-Semitism' and how it is used as a device for intimidating non-Jews and demonising Palestinians. However occasionally someone comes along who proclaims their support for the Palestinians and is, at the same time, anti-Semitic. Atzmon is one such person. I have written the review below for my blog. I have no doubt you are busy but I would ask you to read the review and then tell me you stand by your approval of Atzmon. His flirting with holocaust denial is the least of it. It is his explanation of Zionism and the terrible things that are happening in Palestine that is the problem. In short Atzmon is not an anti-Zionist, i.e. an anti-racist. He locates the cause of the Palestinian's dispossession, expulsion etc. not in the particular circumstances of Israel's creation as a Jewish state, but in Jews as Jews, i.e. there is something inherent in Jews or what he terms 'Jewishness' that is to blame. It seems to me that you can either explain Israel and what it does as a product of Zionism and settler-colonialism, with its desire for an ethnically pure Jewish state or you can, as Atzmon does, explain it by reference to something in Jews themselves. That is why Atzmon goes back to Moses and Joshua to substantiate his argument, even whilst purporting to praise Shlomo Sand's book. The problem is that Israel's level of repression, though horrifying in itself, is by no means unique. One can easily point to other, even worse examples of western barbarism. That is not to excuse what Israel does, as Zionists often attempt to do, but simply to point out that if Atzmon's logic holds then presumably all the ills of the world can be explained in terms of race (however one defines race). Suffice to say that I reject the latter. It is an utterly useless analysis in terms of any strategy of liberation. If Atzmon is correct in laying especial emphasis on his belief that Jews outside Israel actually control events in Israel, we should abandon BDS and any other attempts at solidarity and start targetting Jewish communities outside Israel. I can't imagine that there is any strategy that would be more pleasing to the Israeli government than this, not least because it would 'prove' that their real enemy always was anti-Semitism. I have no doubt that publicly changing one's mind is difficult for anyone to do. However by admitting you were mistaken, that you should have taken more time and care etc., you will not only salvage your own reputation but you will also help remove the poison that is beginning to seep in from those who think that questioning or denying the holocaust will somehow be of benefit to the Palestinians. I would therefore implore you to reconsider what you originally wrote. In the blurb for Atzmon’s The Wandering Who? are listed five professors: William Cook, James Petras and Samir Abed-Rabbo, as well as John Mearsheimer, Professor of Political Science at Chicago University and Richard Falk, Professor of International Law at Princeton. The latter two have probably torpedoed their reputations permanently. The first three had no reputation to lose. It would seem that stupidity can be a useful attribute if you want to be a professor. Mearsheimer co-authored with Stephen Walt, an article then book ‘The Israel Lobby and US Foreign Policy’ whose main theme was that the US was acting against its own interests because of the power of the Israel lobby. Mearsheimer was careful not to talk of a Jewish lobby, ascribing most of the Lobby’s power to Christian Zionists in the USA. Having written that ‘Gilad Atzmon has written a fascinating and provocative book on Jewish identity in the modern world.’ Mearsheimer has literally shot his bolt. 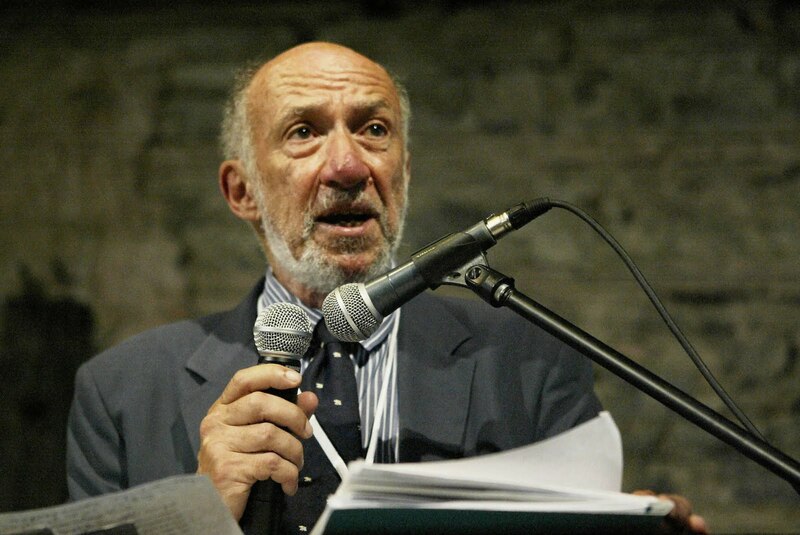 Richard Falk’s endorsement is the most puzzling. He is the UN’s Special Rapporteur for the Occupied Territories, banned by Israel from entering the Gaza Strip. He was a thorn in the side of those who bombed children with white phosphorous and left behind cluster bombs for them to play with. 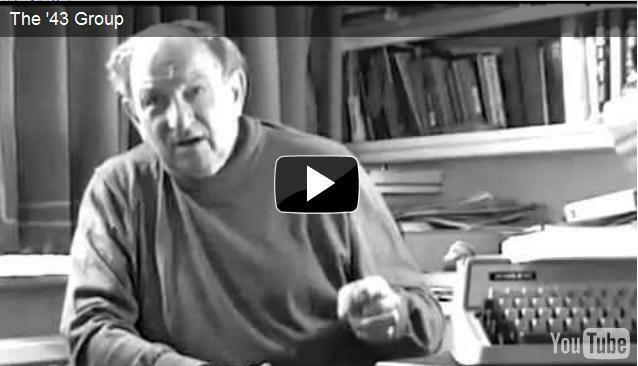 To describe Atzmon’s virulently anti-Semitic book, as ‘a transformative story told with unflinching integrity that all (especially Jews) who care about real peace, as well as their own identity, should not only read, but reflect upon...’ shows that Falk has either not read Atzmon’s book or that he genuinely doesn’t understand that blaming the victims of genocide for their own demise is racist. Were the Jews of Europe Hated by their Neighbours? Our good professors might draw their students’ attention to the way the Jews of Europe are elided together with the Zionist settlers of Israel, to say nothing of the notion of a single European people. Did the Jews of Poland colonise others’ territory? Were the Dutch Jews so hated that the workers of Amsterdam reacted with a 3 day general strike to protest the attacks on them, broken only by fierce military repression and the deportation of the strike leaders to Mauthausen, where they died. Did the Danes who in October 1943 rescued almost the whole Jewish community, 8,000 people, by transporting them by boat to Sweden, ‘stand up’ against their Jewish neighbours? Or the Bulgarians who refused to allow a single deportation? Or the Albanians? Or the French and Italians, 75% and 85% of whose Jews survived the holocaust, mainly through hiding out with non-Jews? Atzmon devotes much of his venom to the anti-Zionist Bund, who are ‘not fundamentally different from Zionism.’  In the 1938 local council elections in Warsaw, they obtained 17 out of 20 seats, compared to just one for the Zionists. Isn’t the real comparison between the pogromists the Jews of Russia and Poland faced and the mobs who chant ‘Death to the Arabs’ in Israel? Marek Edelman, a Bundist and last commander of the Jewish Resistance in the Warsaw ghetto paid tribute to the Palestinian resistance in the second Intifada. [Palestine's partisans, Paul Foot, Guardian, Wednesday 21.8.02.] This was why the Israeli Embassy in Poland didn’t even send the lowest clerk to Edelman’s funeral in 2009, although the President of Poland found time to attend. Atzmon’s refers to the closing of America’s borders as the holocaust approached (in fact it was in 1924). But this wasn’t aimed at just the Jews. Is this any different from immigration controls and the deportation of asylum seekers in the West today? Does the US now welcome refugees from persecution? Atzmon is a good example of ‘blame the victim’ racism. In what way is Atzmon’s pretentious work of ‘philosophy? ‘transformative’ [Falk]? Atzmon does not fish in an empty sea. The reason why his book has achieved a certain resonance has less to do with what he’s written and more to do with the wider context. As most Palestine solidarity activist will confirm, accusations of ‘anti-Semitism’ are standard fare. It is no surprise that some people, rather than challenging the underlying premise, take their accusers at their word. If it is anti-Semitic to support the Palestinians then some people will say that if they have to choose they will bear the cross of anti-Semitism. The Wandering Who? is purportedly about Jewish identity. In reality it is about Atzmon’s own confused identity. Is he Jewish, Christian, ex-Jewish or just Artie Fishel, a spoof character and ardent Zionist who is Atzmon’s alter ego? What the book doesn’t describe, except by way of caricature, is the real identity crisis of today’s diaspora Jews. Instead he feasts on a Jewish Chronicle feature on David Rosenberg and Julia Bard and their agonising over whether to have their 2 boys circumcised. Judging by Atzmon’s description of them, one would assume that they were convinced Zionists. In fact they are members of the non-Zionist Jewish Socialists Group. Their dilemma was that of many young Jews, whether it is better to keep the parents quiet and to make a symbolic bow to Judaism. It was a dilemma that I also faced. Circumcision in religious folklore is the covenant between god and man. To Atzmon ‘It is a peep into the strange and inconsistent world of the Jewish tribal left’. (it) presents Zionism in a new light.’ In fact it says nothing about Zionism. It is also practised by Muslims and many non-Jews, including the Royal Family! In focussing on Jewish circumcision Atzmon plumbs the depths of pathological anti-Semitism. Whether it is the economic crisis ‘Credit Crunch or Zio Punch’ or Swindler’s List, which conflates Jewish socialism (the Bund) and confiscation of the assets of the rich, with Israel’s theft of Palestinian land, it is the Jews who are responsible. You could be forgiven for thinking that Alan Greenspan and Paul Wolfowitz single handedly brought about the credit crunch in order to enhance the power of Israel and international Jewry. The conflation of [Jewish] socialism and colonialism is merely absurd. Socialism seeks to create a society where there are no poor or wealthy, but that involves the confiscation of the assets of the rich. Colonialism is an extension of that theft. But according to Atzmon ‘The Judaic God’ is an evil deity who, via Moses, leads his people to plunder, robbery and theft. What Moses and Joshua did over 3 millennia ago explains Israel’s behaviour today. Given that Britain was the world’s largest empire and also a Christian state, one wonders why Atzmon converted to a religion whose god is also evil? God was always on the side of the colonist, whatever their religion. Atzmon’s sojourn into ‘Jewish identity’ has a purpose - to portray the Jews of Europe and Israel as one seamless whole. Atzmon tries to associate his work with the late Israel Shahak, a Professor at the Hebrew University, Jerusalem, who personally uncovered the existence of over 300 Arab villages whose remains had been obliterated by the Zionist colonisers. Shahak was a child survivor of the Warsaw Ghetto and Belsen-Bergen concentration camp. Shahak’s saying ‘The Nazis made me afraid to be a Jew, and the Israelis make me ashamed to be a Jew.’ is featured at the beginning of the book. But that wasn’t a rejection of being Jewish but a rejection of what Israel was doing in the name of Jews. Shahak was not a Jew-baiter. Shahak’s argument was too sophisticated for Atzmon. He didn’t argue that Zionist barbarities were intrinsic to being Jewish, rather that the settlers were using long forgotten passages in the Talmud in order to justify their Judeo-Nazi practices (Leibowitz). A great deal of nonsense has been written in the attempt to provide a social or mystical interpretation of Jewry or Judaism 'as a whole'. This cannot be done, for the social structure of the Jewish people and the ideological structure of Judaism have changed profoundly through the ages.’ For Shahak, the Jews and Jewish identity have ‘changed profoundly.If Jewish identity tells us anything it is that there is no one Jewish identity. In the last 150 years Jews have moved from being feudal moneylenders and petty traders to a Jewish proletariat and now a largely professional, middle-class part of the white community. The first questions anyone genuinely interested in Jewish identity would ask would be will the Jewish communities outside Israel survive, what is their material basis, is Zionism or opposition to Israel enough? Atzmon asks none of these questions. It is fortunate that Shahak is now dead because he would have sent Atzmon away with a flea in his ear. Atzmon’s absurd statement (Chapter 1) that ‘Israel and Zionism were just parts of the wider Jewish problem.’ completely misunderstands and distorts Shahak’s main argument that Zionism has resurrected an old Jewish identity based on classic rabbinical Judaism. Shahak mapped the contours of change. Atzmon focuses on a fixed, unchanging and essentialist notion of Jewish identity. It matters not whether he defines race by reference to biology, religion, spirit, behaviour, culture. Racism takes many forms. For example his definition of Zionism as a ‘global network with no head, it is a spirit ‘ spirit, unfortunately, cannot be defeated.’  could be the words of Julius Streicher, Alfred Rosenberg, and Theodor Fritsche. When Atzmon writes that ‘It is more than likely that ‘Jews’ do not have a centre or headquarters’ that they aren’t aware of their particular role within the entire system, the way an organ is not aware of its role within the complexity of the organism.’ who can doubt that Atzmon’s ‘organismus’ is the old world Jewish conspiracy? When Atzmon proclaims that ‘Zionism is not a colonial movement with an interest in Palestine, ‘ To be a Zionist means to accept that, more than anything else, one is primarily a Jew.’  he is advocating that supporters of the Palestinians should abandon any anti-Zionist analysis. The real target should be those who control Israel ‘ the world Jewish communities. Atzmon argues that there is no such thing as Zionism inside Israel, it’s a Diaspora Jewish obsession. What is needed is not BDS (which Atzmon has never supported) but a campaign against your local Jewish community! Instead of picketing Ahava or disrupting the Jerusalem Quartet, we should demonstrate outside a Jewish kindergarten. Perhaps the only concession to the truth in the entire book is when Atzmon declares that ‘At a certain stage, around 2005, I thought to myself that I might be King of The Jews.’  One suspects that Atzmon is just another in a long line of false Messiahs. Atzmon believes that ‘Emancipated Jews are identified by negation - they are defined by the many things they are not.’ This is a familiar Zionist theme. But it is untrue. Jewish anti-Zionists are not merely defined by that which they oppose but also by a long tradition of Jewish opposition to racism and fascism. Those who doubt that Atzmon is anti-Semitic should ponder his statement that ‘If there are some remote patches of humanism in Jewish culture, these are certainly far from being universal.’  Likewise his statement that ‘Jewish ideology and political discourse openly opposes revision and revisionism.’  But there is no such thing as ‘Jewish ideology’. Jews support many different ideologies. It is often remarked that there are more Jews in Parliament than their percentage of the total population would merit, but at the time of the Gaza invasion, it was a Jewish MP Gerald Kaufman who made by far the most effective speech comparing his grandmother, who the Nazis murdered in her bed, with Palestinian grandmothers in Gaza. It would appear that Atzmon started out young. At high school he ‘wondered out loud how the teacher could know that these accusations of Jews making Matza out of young Goyim’s blood were indeed empty or groundless.’  Like his friend Israel Shamir, he is attracted to medieval anti-Semitism. On Jewish identity Atzmon has nothing to say.